Welcome to Day #26 of Chocolate and Peru Theme Week. 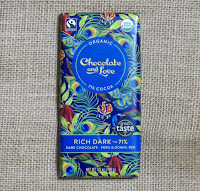 Today's Organic Rich Dark 71% Dark Chocolate Peru and Dominican Republic bar from Chocolate and Love Ltd. (Crescent Perth, UK), was made in Switzerland and imported into the U.S. by Belgium's Chocolate Source (Milton, MA). 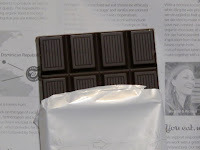 This bar was smooth, sweet and dark and had a pleasing, almost silky-creamy melt and texture. Inside the wrapper was more detailed information about the origins of this bar. 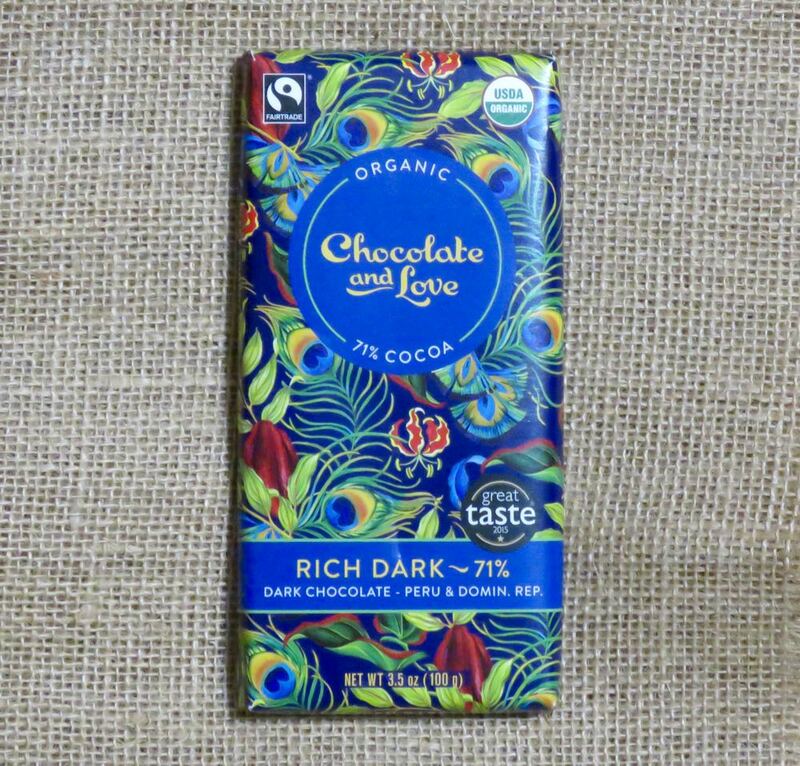 And the packaging also was printed with a photo of a farmer, from El Quinacho, Peru—presumably where the Peruvian cacao was raised. And, that's a wrap. 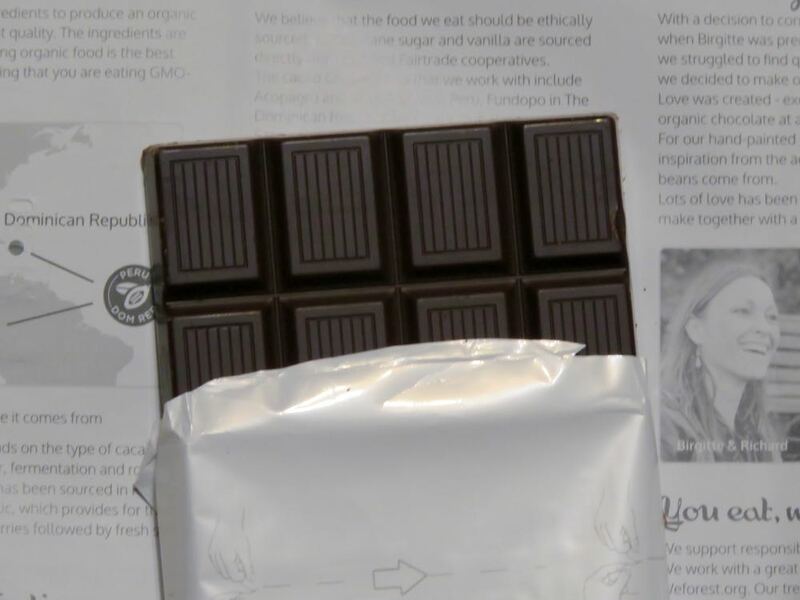 Twenty six bars made from Peruvian grown cacao in as many days, with several bars made in Peru as well.